90 degree precision rotating by sensor. Warm Edge Spacer Air Float Application Table with Tilting&Vacuum Suckers,Warm Edge Spacer Air Float Application Table,Application Table for Flexible Spacer IGU,Flexible Spacer Air Float Assembly Table. SAINT BEST GROUP selected each part carefully , we are strive to quality first when machine production and test each machine before delivery. So we will provide the best machine for you.Air Floating Assembly Table with Tilting&Vacuum Suckers,Air Floating Application Table with Tilting&Vacuum Suckers for Warm Edge Spacer,Air Float Application Table,Air Floating Assembly Table with Tilting,Warm Edge Spacer Air Float Application Table,Flexible Spacer IG Assembly Table,Spacer Assembly Table. 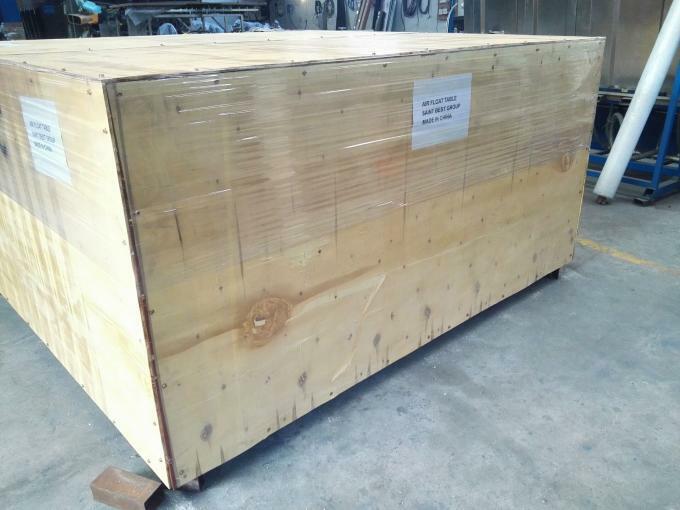 Each product will be carefully packed with plastic film OR wooden case package,to make sure it will be arrived safety. SAINT BEST GROUP is a member of China Construction Metal Structure Association of Ministry of Construction. Also with the honor of “China Famous Products”,we are China TOP manufacturer of Aluminum&UPVC Window and Door Processing Machines,and Insulating Glass Processing Machines, with an annual sales of USD2,000,000 from 2012.Air Float Application Table with Tilting&Vacuum Suckers for Warm Edge Spacer,Tilting Air Floating Application Table Vacuum Suckers,Tilting Air Float Application Table with Tilting&Vacuum Suckers for Warm Edge Spacer. At present,our main products include Aluminum&UPVC window and door machines,Curtain wall processing equipment, and Insulating glass processing equipment.In addition,we can design various of non-standard equipment for customers according to different requirements. Thanks to your trusts and full supports,HT Machinery has become a large-scale production and development in the past 12 years.Dedicated to strict quality control and thoughtful customer service,we have built long-term relationship with customers in Asia, South Africa and north of America.We also welcome OEM and ODM orders.Spacer Application Table, Assembly Table for Warm Edge Spacer IGU, Application Table for Warm Edge Spacer IGU,Warm Edge Spacer Air Float Assembly Table,Assembly Table for Flexible Spacer IGU, Air Floating Application Table with Tilting&Vacuum Suckers. 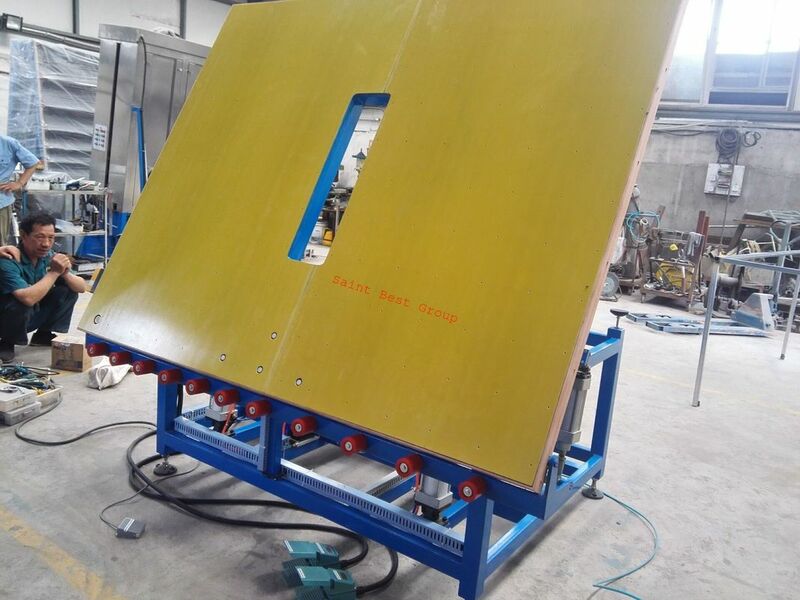 We always looking for long term cooperation, not one time deal.Flexible Spacer Air Float Application Table,Warm Edge Spacer Application Table,Warm Edge Space Assemble Table,Rubber Spacer Application Table,Rubber Space Assemble Table. 1. What is your warranty terms? All equipment are 12 months guarantee,lifetime maintenance. 2. What is the production and delivery time? Production time is from 15 to 25days. Depending on the quantity and model. 3. Can we use our own shipping agent? Yes, you can. 4. Can we mix the 20ft/40ft/40HQ container? Yes, you can mix it.It depends on the model you order. 5. Can we use our own logo or design for sticker ? Yes, you can. We welcome OEM. Please send email to us more details. 6. If I want to visit your factory, where is the nearest international airport ? Jinan airport is the nearestinternational airport in Shandong province. 7. What is your Terms of Payment? Terms of Payment: 30% T/T in advance and 70% T/T before shipment.